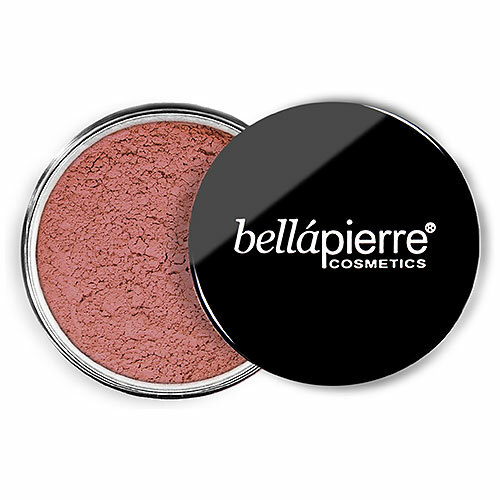 Bellapierre Mineral Blush Powder comes in sheer shades, suitable for a variety of skin tones. Due to the sheer, translucent and skin-hugging effect of the mica mineral, your natural skin tone shines through when you use our blush powder. Tap a small amount of powder into the lid of the product using it as a pallet. Using a blush brush dip the brush into the loose powder and tap the end of the brush on a surface to remove excess powder and apply to cheek bones. Below are reviews of Bellapierre Mineral Blush - Suede - 4g by bodykind customers. If you have tried this product we'd love to hear what you think so please leave a review. Bellapierre Mineral Blush Powder creates a soft, radiant glow ideal for all skin types, including sensitive and problem-prone skin.